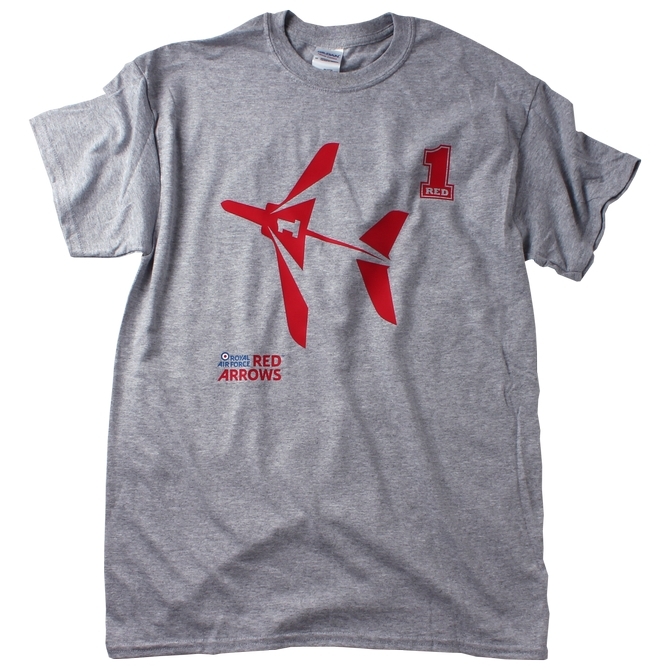 This officially licensed Royal Air Force Red Arrows T-Shirt features the lead Red Arrow - Red One alongside the Royal Air Force Red Arrows logo. These t-shirt is made from 100% fine gauge knit cotton with shoulder to shoulder taping and front cover seaming on the collar. This Red Arrows Red One T-Shirt is a great way to show your support for the World Famous Royal Air Force Red Arrows.